From a Carolina Crown press release: Carolina Crown is looking to update its alumni list. If you wore the purple, or cream, or the waiter's jacket (ahh ... those early years! 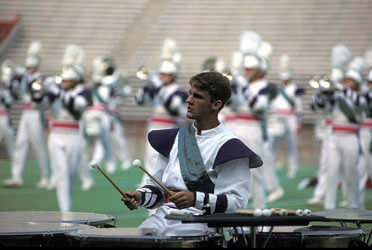 ), Carolina Crown wants to hear from you. Carolina Crown has decided to formally create an alumni association to reach out to the more than 1,500 people that have marched as members of the corps in its 18-year history. The first step to make this happen is to compile a list of corps alumni. Visit www.carolinacrown.org for more information.